It would be nice if there is a caffeine-filled drink that does not have a caffeine crash after a few hours. We are all familiar with that sluggish feeling that occurs hours after we drink our cup of Joe. This slumped feeling defeats the purpose of drinking coffee in the first place. 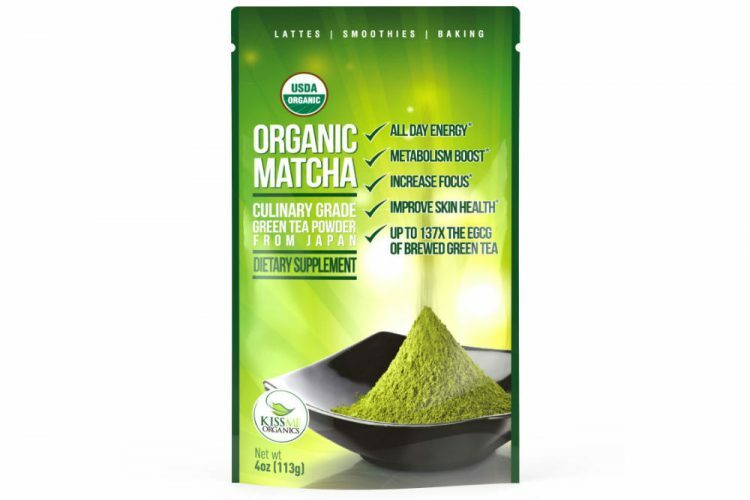 Is it possible that Kiss Me Organics Matcha Green Tea Powder claims to replace our coffee? 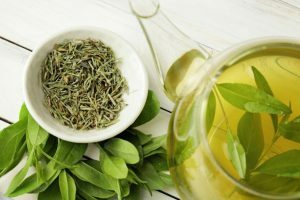 In this article, we will determine if the Kiss Me Organics Matcha Green Tea Powder can be a replacement for our well-loved coffee. What is Kiss Me Organics Matcha Green Tea Powder? Green Tea Powder is the product of Kiss Me Organics. Made of high-quality green tea leaves. It preserves all the nutritional content of the wondrous herb. 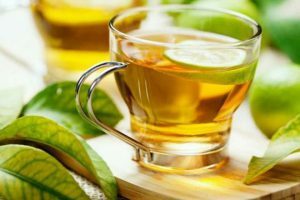 it is amazing tea since you can drink this tea without any sugar, lemon or milk. 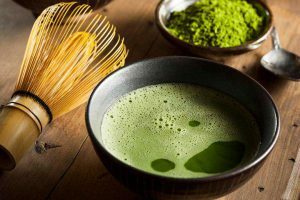 It is also a culinary grade matcha powder that has excellent ingredient in matcha lattes. And smoothies baking foods like muffins and bread. Kiss Me Organics’ matcha green tea powder is one that you’ll find suitable. Also, you’ll find perfect for whatever purpose you’re purchasing. The culinary grade powder of this product is easy to integrate into recipes. and even in its powdered form maintains an incredible amount of benefits! 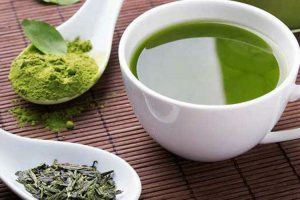 Talking about benefits, you might ask if what benefits you will get when you drink this green tea powder? 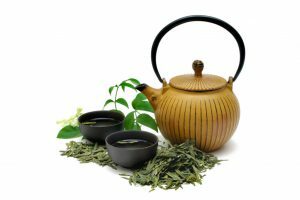 Today, we will discuss you the benefits you will get when you drink the green tea. aside from the benefits you get, we will also discuss the features, Pros, and Cons. The culinary grade powder is easy to integrate into recipes. and even in its powdered form maintains an incredible amount of benefits! 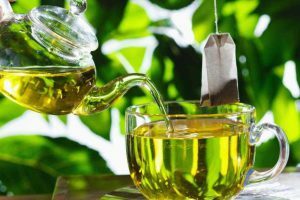 following are the benefits of drinking green tea powder. 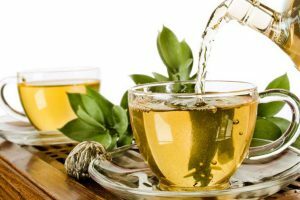 Provides 137 times the amount of antioxidants brewed green tea. – the higher antioxidants mean it is increasing health benefits. So it helps us to prevent dangerous maladies. like cancer and other degenerative diseases. it gives us a softer and younger looking skin and fights the noxious effects of UV radiation. Makes your immune system stronger. – The Kiss Me organic matcha contains many nutrients. It helps to promote good and makes your immune system strong and ready for anything. 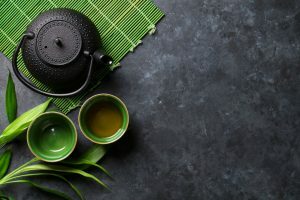 Matcha promotes placidity and a peaceful mind. – The amino acid enhances the generating of alpha waves in the brain. thus stimulating relaxation without the side effect of sleepiness. Burns calories. – Drinking this KissMe Organics Matcha helps to increase and speed up metabolism. 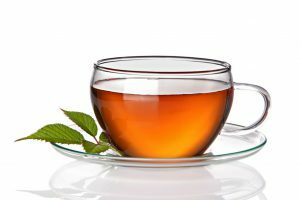 Statistics show that those who drink tea have 11% less chance of developing a heart disease. This matcha green tea powder claims to generate the same effects of coffee. and even go beyond coffee itself since it claims to have other added benefits. It is made of certified 100% matcha that is organic. The matcha will increase your energy and will help you to be more focused. Its formulation was made to combat the caffeine crash specifically. It is also a natural burner of calories since it maintains your metabolic rate. 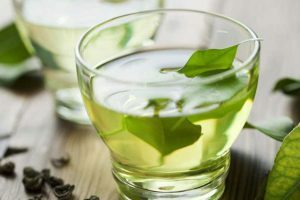 It is packed with antioxidants from brewed green tea and manganese that is 30%—the body’s recommended regular daily dose. It also claims to reduce anxiety as it has amino acids and properties that produce a relaxing effect on the body. It has a naturally bitter taste, so you still need to add a sweetening agent. It does not completely dissolve in water. It comes in an airtight pack that is free from any BPA. You can use this powder on its own, smoothies, lattes, and even for baking. You can get it in four ounces or 113 grams. The recommended amount of intake is three grams or a teaspoon. It also has a bonus recipe eBook. It has proven not to give you a caffeine crash. What happens is that. the matcha powder will regulate and maintain your energy throughout the day. It also provides a good jolt of energy to start your day right. It is greener looking as compared with other matcha powders, so you assured that you get pure matcha. It also regulates your bowel movement. which is perfect for people who have problems with bloating or are trying to lose weight. It is very versatile as you can use the matcha powder in different ways. The eBook that comes with it is very handy for you not to get bored with the same matcha drink recipe. It does in a way helps you to focus and to calm yourself. Although there are still no definitive results about why. and how this powder does those things. The powder is not fine enough that there will be grits left in your cup. It is pure matcha, so it expected to have a bitter taste compared to those that have sweeteners in them. The packaging may not be that good as it should be resealable. but there were cases wherein the flaps cannot reseal. There is a bit of a learning curve tailoring the serving size to suit your taste. Adding too much milk or sugar to the powder may alter. or even lower the positive effects of the matcha powder when it comes to sustaining your energy. 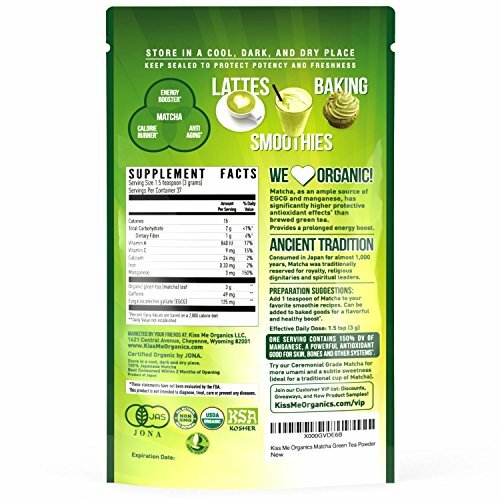 The Kiss Me Organics Matcha Green Tea Powder claims to be the perfect alternative to coffee. The properties of the matcha powder help you to concentrate more and to relax. It also regulates your energy throughout the day so that you will not suffer caffeine crash. It is also packed with amino acids and other nutrients to aid your body’s metabolism. so you can use this powder also when you are trying to lose weight. It can also boost your immunity system. This matcha powder can use in different ways. You can use it for baking, lattes, smoothies, and even on its own. It does, yet, have a bitter taste, so you still need to add other elements to it such as sugar or milk. Besides, it is best to consume it on its own. Both of these matcha powders claim made of 100% green tea leaves. Kiss Me is more potent since the Red Leaf Tea Sweet Matcha Green Tea already has some sweeteners in it. Hence, you do not get as much of a pure matcha powder. In the case of the Kiss Me Organics Matcha Green Tea Powder. it does not contain additives that will change the pure properties of the matcha powder. You can spot which one is purer since the Red Leaf Tea Sweet Matcha Green Tea looks less green. The taste test will also attest that the Green Tea Powder is the stronger one. since it tastes like straight up green tea leaves compared to the other one that is somehow ready to drink. is the best alternative to coffee. It has proven not to give you that tired feeling once the energy boost “dies” down. It also helps that the powder has other ingredients in it that help with your wellness. The taste does take a little bit of getting used to. but you can customize it to suit your taste buds by adding sugar or milk. You can fell nourishing and refreshing. leaving with a very pleasant warm feeling when you are drinking matcha. It should be noted that you should not consume a lot of it, as it is not recommended to do so. That is because we assure you that you might get addicted to the positive effects of this matcha powder.